This week’s episode of Dubspot Radio brings us a groovy house mix from one of our very own DJ instructors, Devon James. He also sits down with Pozibelle to discuss his upcoming EP release, his favorite Pandora stations, and his love for the party. 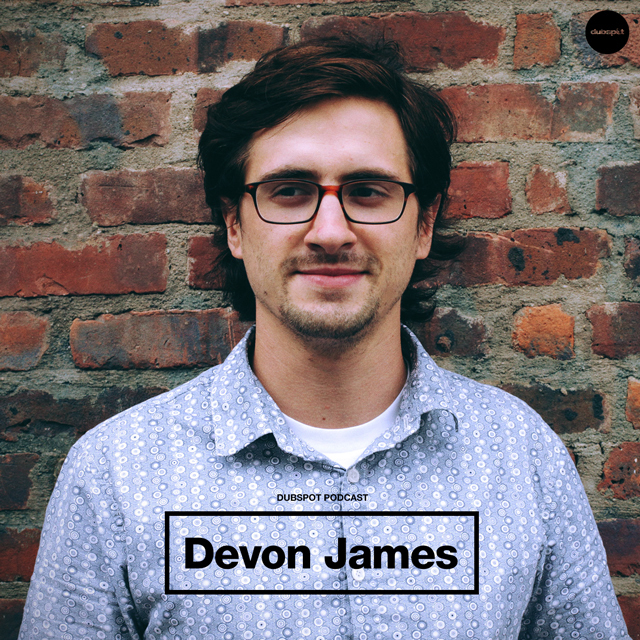 Devon James Stewart is a Boston-born, Brooklyn-based DJ, Producer, Musician, and Engineer. Coming from a long lineage of musicians, Devon picked up the guitar at age 9 and began his studies in jazz and contemporary practices. Since 2004, he has made numerous appearances on guitar with the legendary band, ‘The Skatalites’ and has performed at Festivals from Szieget in Budapest to SummerStage in Central Park NYC. At the age of 14 he started exploring the world of recording and computer music. Later, at 17, mesmerized by his friends playing 45RPM Ska and Rocksteady records in Boston dive-bars, Devon decided to learn the art of DJing. Devon attended Syracuse University and studied Acting, Music, and Film. While not in class he was most likely DJing house parties or composing original music for fashion shows, class projects, and commercials. In his Junior year, he and fellow collaborator John Kunz formed Chemicals of Creation. The duo won numerous DJ competitions on their own campus and others. This project led to many incredible opportunities and opening spots for some of the biggest DJ’s in the World (Tiesto, Diplo, Skrillex, Steve Aoki, etc., etc.). After College, Devon moved to New York City in May 2011 and began working at Dubspot, where he teaches DJing and music production courses. His vast knowledge of Traktor caught the attention of his peers and led to his first meeting with Felix Da Housecat. Felix took Devon on as a tour manager, but his responsibilities quickly grew and became Felix’s studio engineer and producer. His technical prowess has also been sought after by the likes of world class artists such as A-Trak, Nicole Moudaber, Shlomi Aber, Ultra Naté and David Morales. Devon has also produced with legendary artists such as Nile Rodgers and Lee “Scratch” Perry. His style and diversity have made him a regular in the NYC scene; He’s DJ’ed all over the world from India to Ibiza and has spun private parties for the likes of Diddy and Rob Kardashian. Devon’s music has been released on Fogbank Recordings, 9G Records, Dark Side, and his remix of Flo Rida is featured on Disney’s Fantasia Evolved for Xbox. Devon is also the co-founder and creative director of RVDIOVCTIVE, a multi-media artist collective that curates events and projects in NYC and beyond.